My main focus for this year was streamlining and organization. I realized that over the years, my walls had become quite the collection of… let’s call it “decor” (former students’ work, signs and notes given to me, various posters and pictures). It was all on the walls. Although I thought it looked good, I was starting to fear that it was a bit overstimulating (especially for my co-taught class and students with attention difficulties). So I cleaned it up! I took down the smaller posters over the sinks since they had been damaged by water splashing on them over the last 5 years. 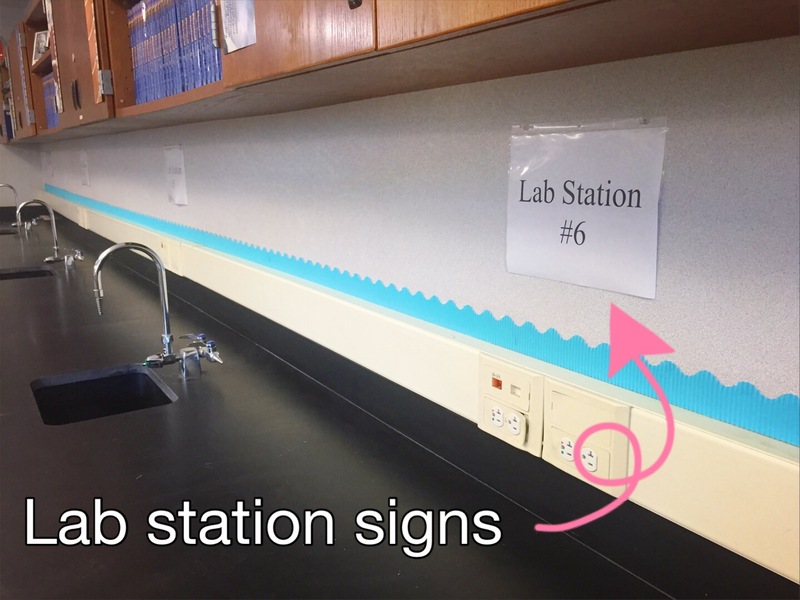 I replaced them with lab station signs that are protected and hung by sheet covers. This will make it much easier to tell groups of students which station to go to rather than it being a free for all. I used sheet protectors because I had run out of laminating materials and it seemed like a cheap and convenient solution! 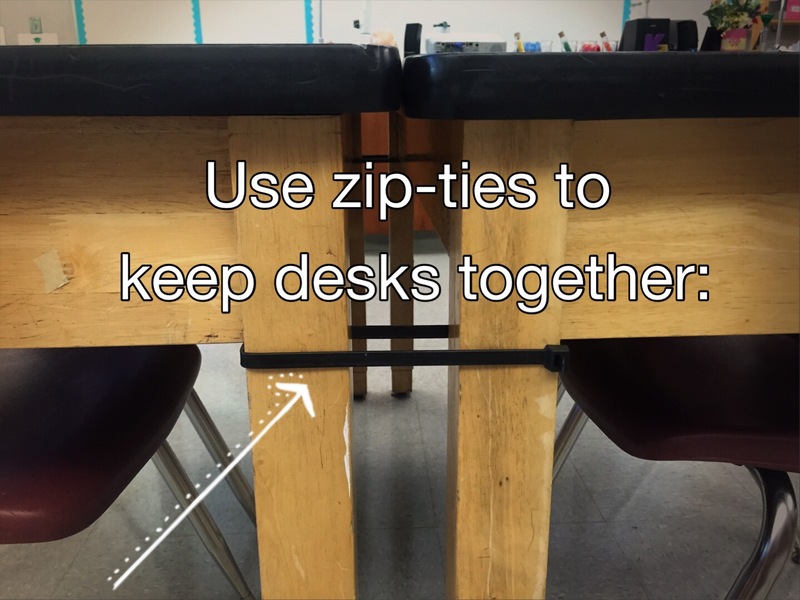 This year, I am using zip-ties to keep my desks together. To some of you, this may come as a shock—but, teenagers love to just flop into chairs, with no regard for keeping them looking nice, or the way they found them. 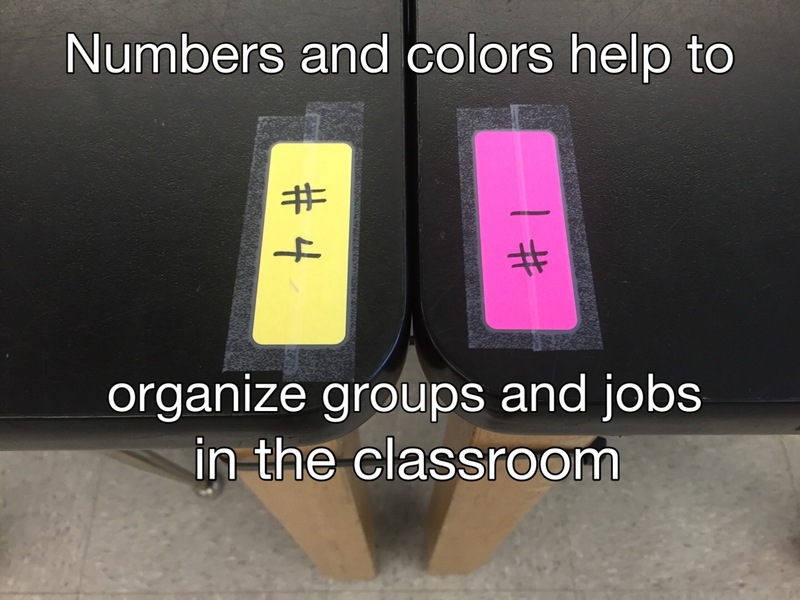 The zip-ties do a nice job of anchoring the desks due to their combined weight. This way, my students can continue to carelessly flop into their seats, as usual, and my table groups will continue to look tidy! Battle won! 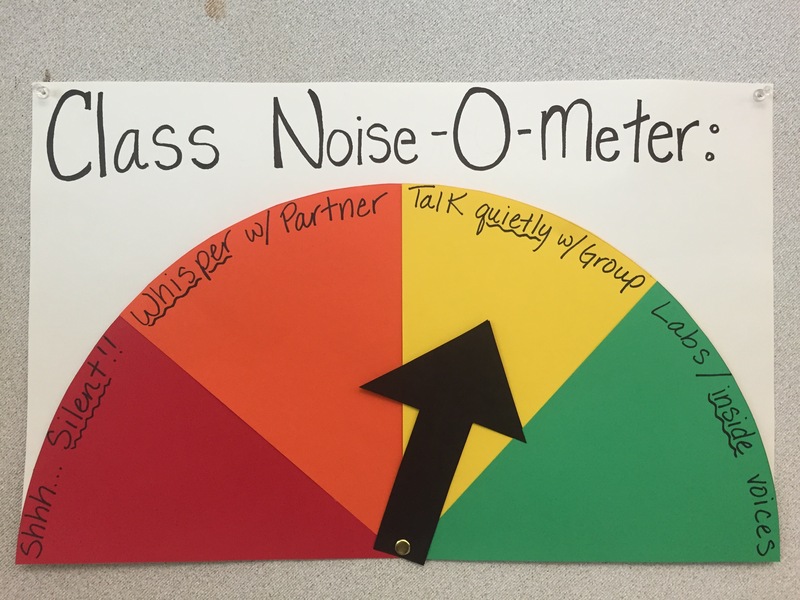 To help control the noise level, I created this “noise-o-meter.” I have seen many iterations of this online, as well as in my fellow teachers’ classrooms and decided to try it for myself. I made mine by using large scraps of construction paper, card stock and a brad. I think it turned out well. Online, I saw that some people chose green to represent silence while others chose red. I decided to go with a “red=stop talking” and “green=go ahead and talk” approach. So far, it seems to be working well! 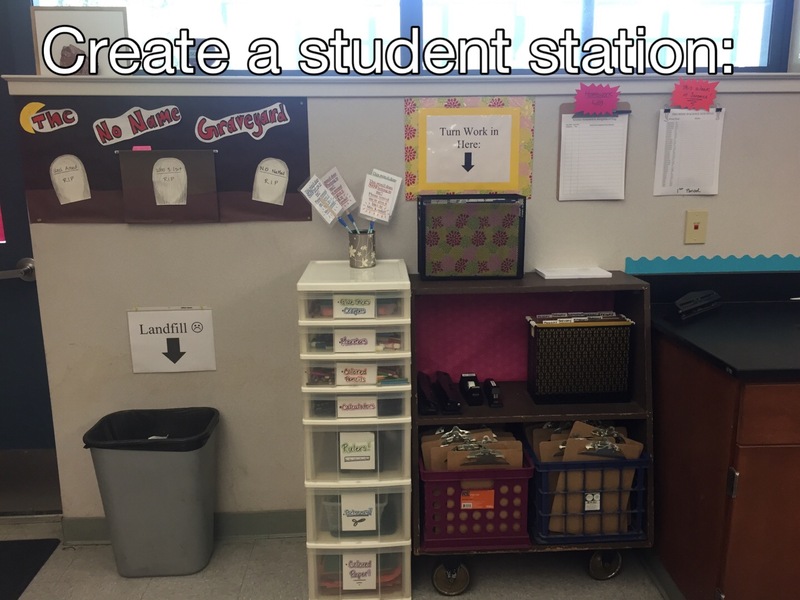 Lastly, I changed my front desk area by adding a smaller “teacher desk” to the side. In a science classroom, sometimes it can be difficult to achieve this since our desk is typically bolted to the ground. This “side desk” was my solution. Now, I have options of where I can work, depending on my mood! I hope you enjoyed seeing the updates I have made to my classroom. 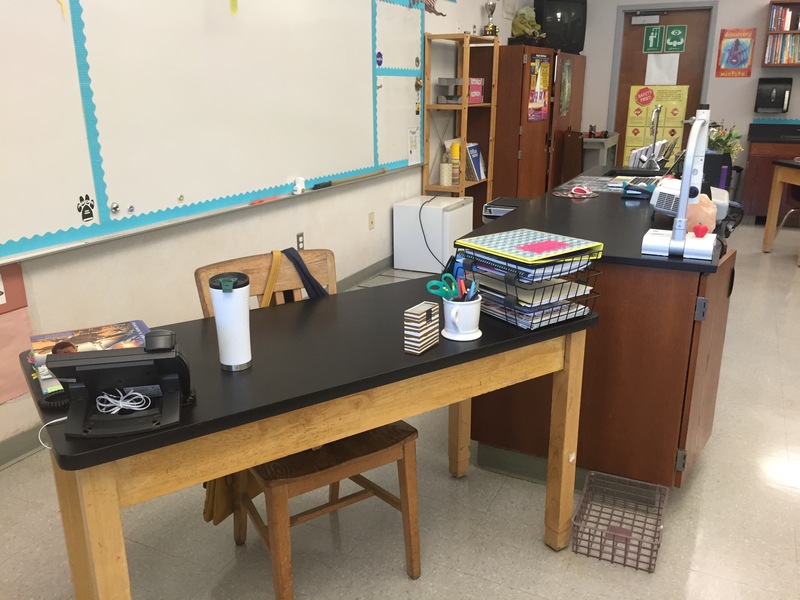 To see a full tour of my classroom and what it looked like before, check out this post.